This is shaping up to be a coffee-centric summer. I've been drinking it by the pot, or so it seems. With the weather warming up, I feel as though I should be shifting from hot cups of java to iced mochas. The problem for me is that iced coffees always feel too watered down. 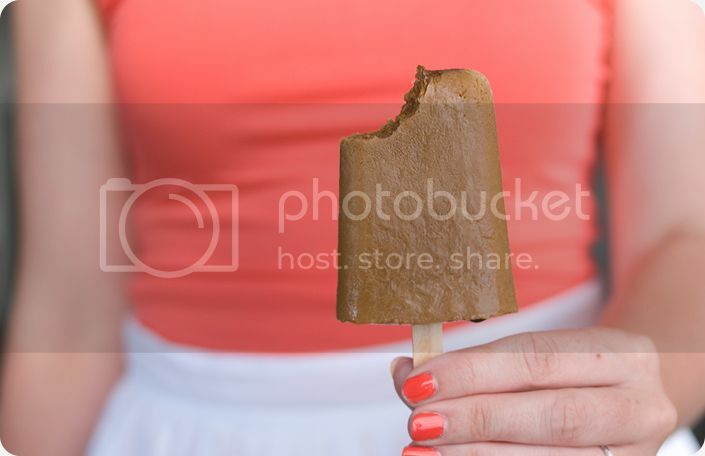 Isn't this iced coffee pop a much better alternative? !